LET THE SAND BE YOUR SEAT AS THE WAVES KISS YOUR FEET. 50'+ of Bay Frontage just outside the city with beautiful sandy beach. Opportunity for home & rental income. Three bedroom house, full bath w/ whirlpool tub, 3/4 bath w/ tiled shower. Kitchen with snack counter, cabinets w/ uplighting, & sliding glass doors off dinette to patio. Rubber roof is 10 yrs old & shingles are 3 yrs old. 40x30 Detached garage built 10yrs ago w/ vinyl siding & shingled roof. 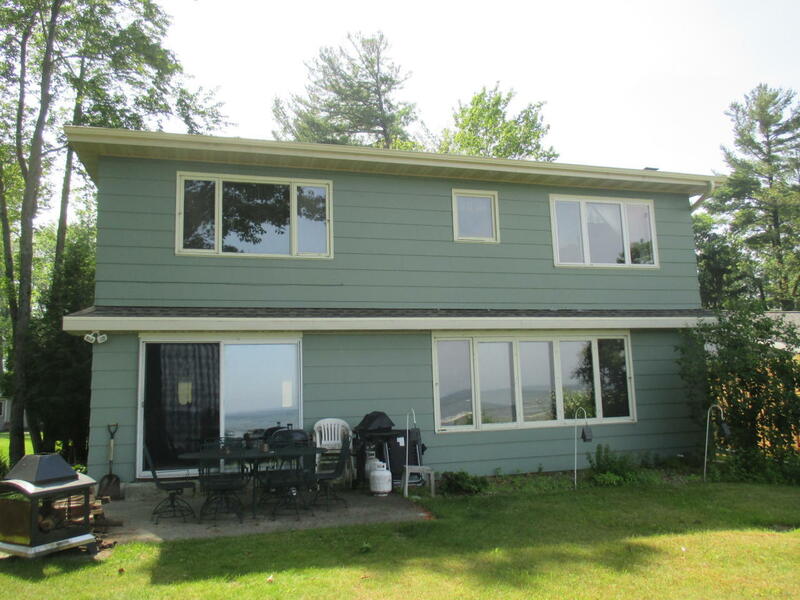 900 sq ft, 1 bedroom apartment above w/ gas forced air furnace & 30 gallon gas water heater. Apartment currently rents for $675/month. This includes all utilities & is a reduced rate in exchange for tenant doing lawn care & snow removal.